Whether you spend the summer in the city or surrounded by nature, whether you are a homebody, traveller, or adventurer, it would be surprising if your summer were completely free of minor nuisances like insect bites, scrapes, blisters, and sunburn. 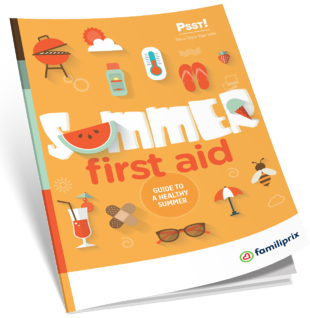 That’s why you’ll want to keep this guide handy, as it contains simple and useful information on preventing and treating common summer complaints. Follow these tips for you and your family—and enjoy the summer!